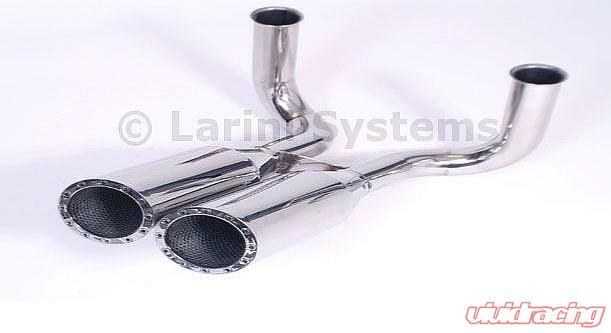 A Larini Sports System is a meticulously engineered, high performance, sports exhaust, developed for "fast road" use. Every Larini Sports System is tuned specifically to each vehicle to ensure that the desired balance of enhanced power, improved torque and a sophisticated sound is achieved. Larinis clever designs ensure that with increasing revs, the tone, note, and volume also increase. Decrease throttle opening and volume levels reduce. That is why a Larini Sports System is dubbed "The Gentlemans Sports Exhaust". Larinis free-flow box internals allow torque and power gains while maintaining driveability. 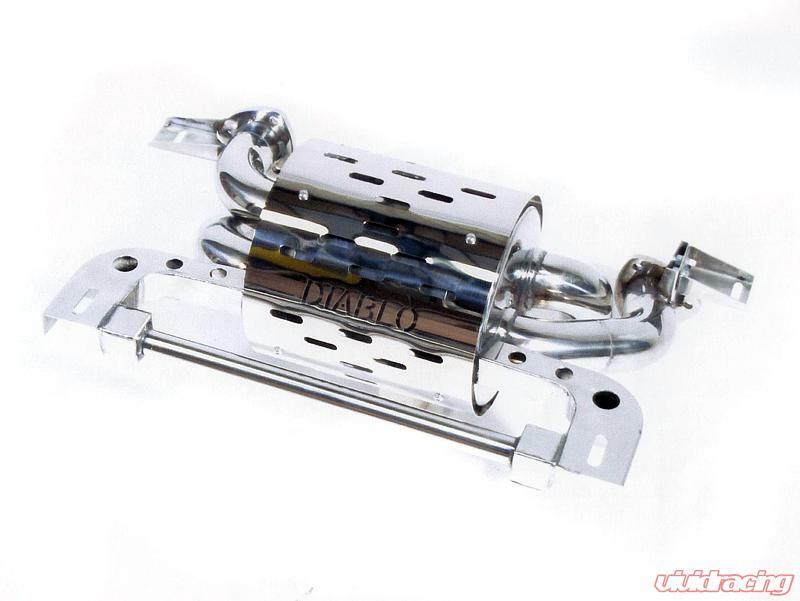 This system will have more volume than the original but it will not be offensive, simply offering one of the most satisfying "tuned" exhaust notes. Fit and Finish are better than original. Every Larini Sports System is supported by the Larini Systems Lifetime Warranty. Exhaust is Full Stainless Steel with a Mirror Polish. This system does not include tips however you can add tips to this exhaust by choosing from the drop down menu below.